The sit-down Longarm Quilting Machine. 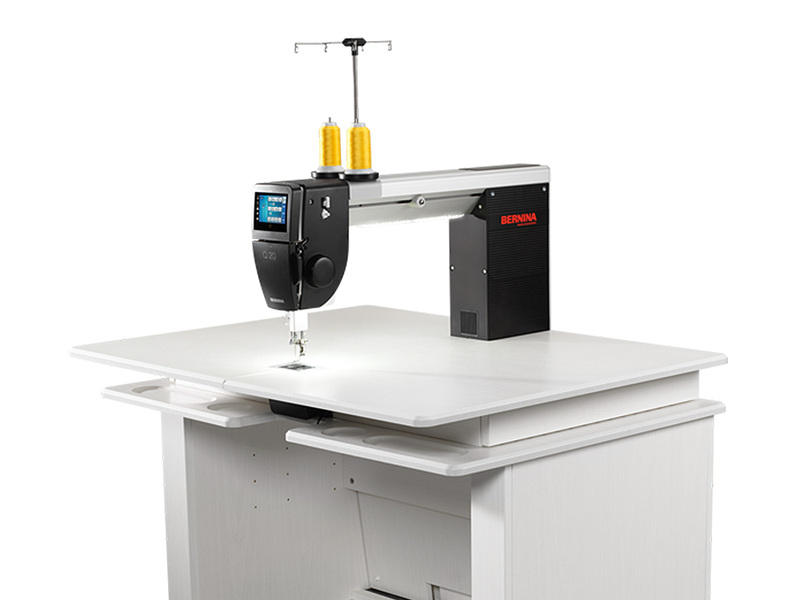 The BERNINA Q 20 comes standard as a sit-down model machine. The generous freearm depth and height provide ample space for managing your larger quilts. The large table is equipped for quilts ranging in size up to 115 inches. With built in BERNINA Longarm Stitch Regulation, the Q 20 allows you to finish your quilts with precision and accuracy. Choose between three stitch regulation modes, including a basting mode or a fully manual mode. The BERNINA Q 20 can also be used on a Longarm Quilt Frame. View Q Series product brochure. Modern Domestic is the only BERNINA Excellence Dealer in the Northwest with the opportunity to rent BERNINA Q-Series longarm machines. Expand your quilting skills and build your confidence in Longarm Basic, a required class to rent the Q 24. Join our quilting community! Longarm Club is a group dedicated to expanding your knowledge and skills in longarm quilting. Learn from talented quilters, work with the BERNINA Q Series longarms, and make new friends! Q-Series rental is $20/hour. Please contact us for questions and rental inquiries. Experience the BERNINA Q20 TODAY!